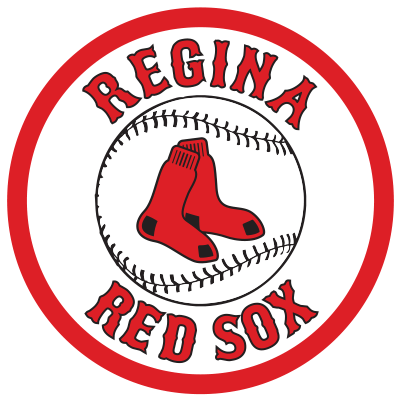 As The Regina Red Sox head into training camp, here is the projected roster for the upcoming 2018 WMBL season. 2017 Red Sox Playoffs: 4 games…17 at bats and .235 average…four hits and four RBI…1 run scored. 2018: Niagara University (Senior):22 games…72 at bats…8 runs…14 hits with 7 doubles, 7 walks and 9 RBI…also stole a base. 2017 Red Sox Playoffs:4 games…15 at bats…1 run and 1 hit…1 walk…hit .067. 2017 Red Sox:Hit .278 in 40 games…158 at bats…33 runs…44 hits including 10 doubles…26 walks and 18 RBI. 2018: Southeastern University (Senior):First-Team All-Sun Conference…90 innings pitched…had a .250 ERA…13-1 record…101 strikeouts and 28 walks…allowed 5 homers. 2017 Red Sox Playoffs:4 games…3 runs and 3 hits…3 walks and .200 batting average. 2017 Red Sox: 24 games…80 at bats…24 runs scored…27 hits…7 doubles…23 walks…1 homer and 12 RBI…has a .338 batting average. 2018 University of Arkansas Pine Bluff (Junior): 17 appearances with 13 starts…3 complete games…80.1 innings pitched…had a 5.15 ERA with 48 strikeouts, 41 walks and 3 homers. 2018: Western Illinois (Senior): pitched in 11 games…had 1win with a 3.47 ERA…threw 23.1 innings…had 21 walks, 21 strikeouts and a homer. 2018: Southeastern University (Junior): Did not Play2017: played at Gaveston College…23 appearances…2 wins and a save…40 innings pitched with 47 strikeouts and a 4.27 ERA. 2018: Texas – A&M Kingsville (Senior): 17 appearances…had a 3.71 ERA…won 4 games…threw in 26.2 innings with 24 strikeouts, 8 walks and a homer. 2018: Arkansas Tech (Junior):14 games…3-2 records…33.2 innings pitched…29 strikeouts and 20 walks…had a 5.61 ERA… only 2 homers given up. 2018: Chandler Gilbert CC (Freshman): 18 games pitched with 1 start… earned 3 wins…tossed 27.2 innings…had 20 walks, 32 strikeouts, 2 homers and a 7.81 ERA. 2018: Texas A&M Texarkana (Senior): 15 starts with11 wins, 3 complete games…89.1 innings pitched…had 75 strikeouts, 28 walks and a 2.28 ERA. 2018: Arkansas Tech (Senior):Did Not Play…2017: 14 games with 8 wins…89 innings…93 strikeouts and 26 walks…also 2 homers and a 2.53 ERA. 2018: Southeastern University (Junior): 58 games played with 168 at bats… 32 runs scored…28 RBI on 41 hits, 5 doubles, 6 homers and 26 walks… hit .238 and had .343 OB with 10 stolen bases… also pitched .01 innings in 2 games. 2018: Madonna University (Senior): 49 games played with 167 AB…had 48 hits, 10 doubles, 11 runs scored and 9 homers…drove in 39 RBI… also 9 walks and a .287 BA an .360 OBP. 2018: Arkansas Tech (Junior):52 game with a .323 BA…192 AB…7 homers with 52 RBI…had 12 stolen bases…scored 42 runs and hit 4 triples. 2018: Eastern Arizona (Sophomore): played 52 games, 191 AB, 19 RBI, 33 stolen bases, .335 average, .371 on base, 36 runs scored, 5 triples and 5 doubles. 2018: Utah Valley University (Senior)…2018 All-WAC 2ndteam all-star…52 games played…87 at bats with a.294 average and .406 OBP…scored 32 runs on 55 hits, 9 doubles, 5 homers…had 16 RBI and 30 walks. 2018: Dodge City CC (Sophomore): 53 games played…210 AB with 62 runs scored and 95 hits…smacked 14 homers and 74 RBI…had 8 walks a .452 BA and .504 OBP.